Wood charcoal making machine converts wood into charcoal after several wood charcoal making processes. Maybe you want to ask, why do you carbonize wood? That is because carbonized wood has widely uses in our life, such as BBQ’ s fuel, ink industry, rubber industry, etc. Therefore, Beston wood charcoal making machine for sale becomes more and more popular in Vietnam, South Africa, Philippines, Australia, Korea, Uzbekistan, Thailand, etc. One fire two steps, as Beston’ s unique patent, brings great benefits to customers in energy saving, as well as in the environment protection. One fire refers to the carbonization host. Normally, we regard coal, wood, natural gas or oil as energy. Two steps refer to the recycled combustible gas and high-temperature smoke. On the one hand, the waste combustible gas will enter into the carbonization host to burn again after a series of process. On the other hand, high-temperature smoke on the dryer is conducive to keep the high temperature of charcoal making furnace. Therefore, this special technology not only prevents the environment from pollution but also reduces the cost of energy. 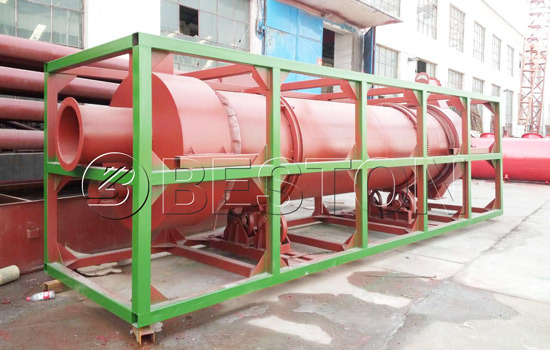 In addition, due to this advanced technology, more and more customers choose Beston wood chips charcoal making machine. What Safety Measures Do Beston Machine Adopt? 1. Cooling system. If discharged smoke has high temperature, we can’t predict what detriment it will bring to environment. Therefore, we set up cooling system to lower the temperature. 2. PLC system. Traditional carbonization plant of wood industries is difficult to control, especially large industry. 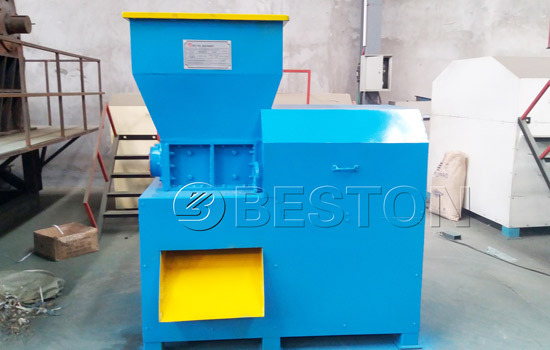 In this case, it’s no need to worry for you if you purchase Beston sawdust charcoal machine. We place PLC in your site. There are two advantages. Firstly, save labor cost. Just few workers are able to control the whole industry. Secondly, adjustment in time. When some events we can’t predict occur, operators can turn off hardwood to charcoal machine or adjust the machine at fast speed with the help of PLC. 3. Sealed operation. The whole carbonization of wood process is totally sealed, including feeding process, carbonizing process, smoke dedusting process and discharging process. Consequently, dust and unpleasant smell won’t harm worker’s health or environment around us. 4. Casing. The casing adopts superior stainless steel which is anticorrosive. Besides, we put heat-resistant materials in casing. Therefore, the casing not only keeps the heat from carbonation host but also avoids scalding and protects workers’ safety. 5. Emergency button. We put emergency buttons on majority of parts. As a result, the safety risk of operating wood charcoal making machine reaches to minimum. Charcoal Daily life widely used as fuel in BBQ. used as fuel in other area. Agriculture attach heavy metal, improve the quality of soil. 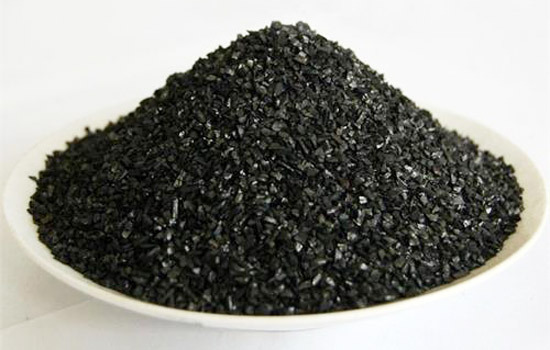 Industry can be reprocessed into activated carbon. used for construction bricks with clay. widely used as fuel in industries such as steel and iron factories, ceramics and so on. Biogas Daily life widely used as fuel. Industry can be used as fuel. can be used for generator to get electricity. Do You Know Wood to Charcoal Process? The wood carbonization furnace is divided to two floors. Firstly, put wood into small furnace on the upper floor. This case dries the wood to an appropriate degree. Then, the dried wood is poured into large furnace on the lower floor. Through high temperature, wood begins to carbonize. After wood carbonization, there are large waste combustible gas in the furnace. Beston wood charcoal machine has recycling system to deal with these gas. At first, we use cyclone dust collector to clean gas. Secondly, when gas enters into two condensers, we can get tar and vinegar. Tar and wood vinegar are respectively collected into different tanks. Then, the waste combustible gas re-enters into the biochar furnace, which means customers save large fuel cost. 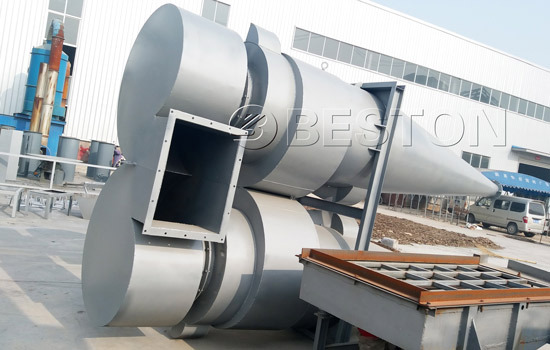 In the carbonization host, there is some waste high-temperature smoke which cann’t be discharged directly. 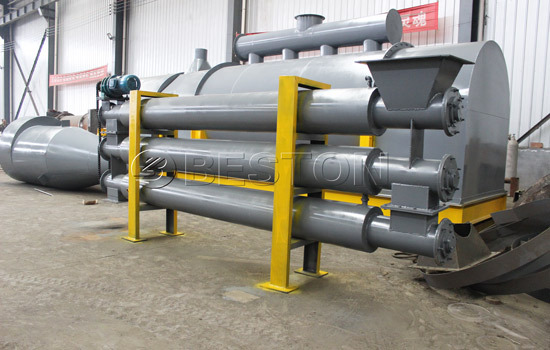 Beston wood carbonization plant adopts several procedures to clean smoke. At first, the smoke goes into dust collector, smoke eliminate tower and sulphur eliminate tower, which eliminates the sulfur component in the smoke. Then, the smoke lowers the temperature in the horizontal condenser. After cooled, the smoke reaches to the EU emission standard. 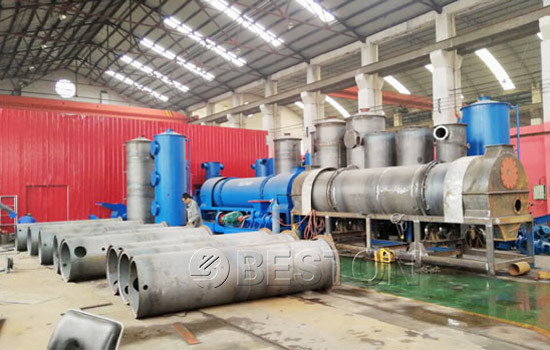 From carbonization process of wood above, we Beston Machinery, as wood charcoal machine supplier, guarantee the whole carbonizing wood process is environmental-friendly and efficient. 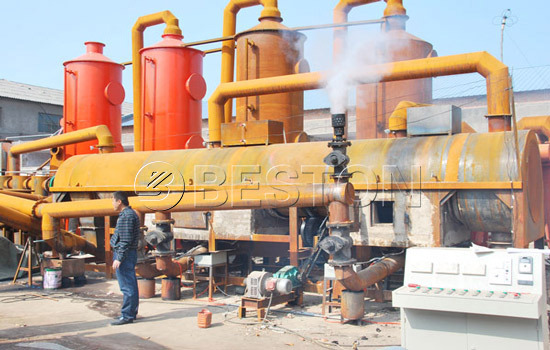 Why Should You Choose Beston Wood Charcoal Making Machine? 1. No residue or no waste smoke. The whole wood charcoal production process won’t generate any residue or waste smoke. The wood charcoal carbonization furnace reuses the energy, and the waste smoke is processed before discharged. Accordingly, it’s unnecessary for you to worry about environment problem. 2. Reasonable price. Compared with other wood making machine manufacturers in China, we believe Beston wood charcoal machine price is reasonable. Beston machines to convert wood into charcoal not only has one fire two steps but also adopts safe design. Consequently, the price we offer is relatively competitive. 3. High quality. 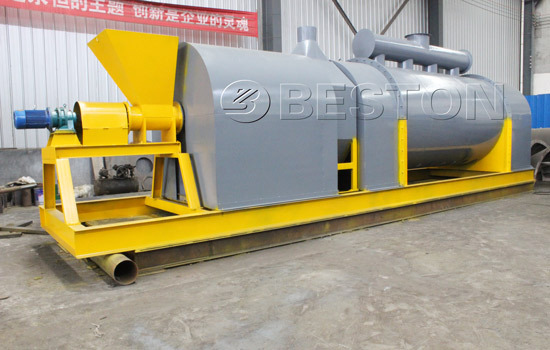 Because we adopt stainless steel 310s, so Beston wood to charcoal machine is durable. Besides, the sawdust charcoal machine has the character of high-temperature resistance, which prolongs the service life. 4. High efficiency. 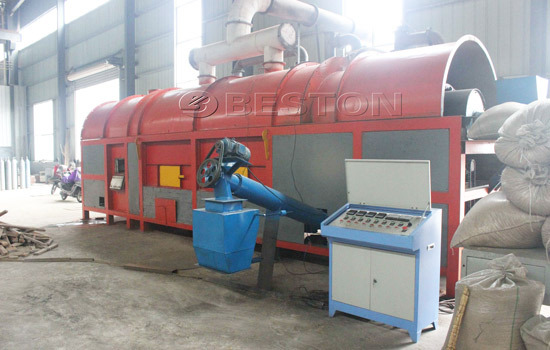 Beston wood carbonisation furnace has larger productivity compared with traditional wood charcoal making machine. With unique technology-one fire two steps and dedust system, the efficiency of whole wood charcoal production line is greatly increased. 1. Online services. Please send your quotation to our email. After receiving your message, we will reply to you as soon as possible. 2. Technical guidance. Maybe you have many doubts about our machine, price, raw material, how to make charcoal from wood or profits, email us. Let us know your problem or your plan, then we can give our professional guidance for you. 3. Turn-key project. If you don’t want to be responsible for setting up a wood charcoal making factory, we can take the total responsibility. All you need to do just is giving your information to us. Then we will design and build wood charcoal making plant in the light of your conditions. Isn’t it relaxed for you? 4. Installment in your site. If you don’t have clear understanding about wood carbonization stove installation or how to make wood charcoal, we would like to dispatch our experienced engineers to your site. Our engineers won’t leave until the plant operate normally. 5. Long-time guarantee. We provide one-year maintenance and free quick-wear part of a half year. Wood charcoal making machine has became business choice for more people. Expect for low budget and quick profits, this wood making machine factory is easy to control and manage. 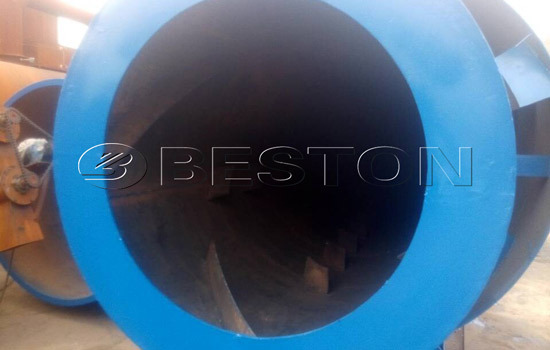 We Beston Machinery provides several models for you, including BST-05, BST-10, BST-20, BST-30. And their capacity ranges from 300kg/h to 3000kg/h. If you have interest in one of them, email us right now. Welcome your visit.